Dell EMC Management Challenge is a leadership development organisation comprising of a team with extensive experience of providing solutions to leading UK and Global organisations. The team possess a collective passion for competitive endurance events and using sport as an enabler for organisational and leadership development. As a management team we are very focused on the continued success and the development of this event, delivering business benefits to competing clients and the support of their partner charities. 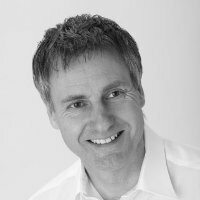 Hywel is an experienced business leader with a sound track record of developing and implementing successful strategies in the corporate and start-up businesses operating, both at European and UK level. Well versed in evaluating situations, formulating plans, managing teams to effect change right through to implementation. 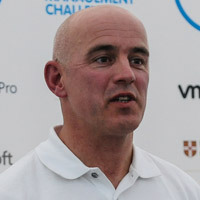 Hywel is responsible for the overall event format, sponsor management and client engagement. Gary began his career in Engineering with the Ford Motor Company, later qualifying as a Mechanical Engineer and then re-training in Electronic Engineering. Involvement in training at Ford sparked a long term interest with developing people and Gary formed Hawk Associates , which remains a successful specialist training and development working with a ‘blue chip’ client base. Gary provides high levels of support to clients, ensuring creative solutions that result in a partnership approach and sustainable results. Tom is a very experienced Outdoor Activities professional. He is Director of Outdoor Activities at the highly acclaimed United World Colleges, St Donats. 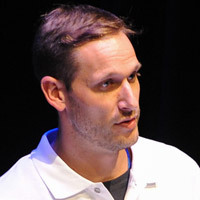 Tom’s passions include Caving, Mountaineering and Triathlon, to include completing Ironman Wales in 2012.